Back in 2016, Tesco pledged that it would not dispose of food that is still fit for human consumption, and now instead donates around 300,000 meals’ worth of ingredients to more than 7,000 charities and community groups nationwide. However, those ingredients still need to be prepared – and using every scrap of every ingredient helps to feed as many hungry mouths as possible. To help community groups to do this, Tesco have teamed up with Jamie Oliver to write a cookbook and deliver chef school lessons that show community cooks the tricks of the trade. The new cooking lessons launched on January 24th at Goodinge Community Centre, a charity supported by FareShare, which helps to match Tesco’s food donations with local worthy causes that need them. FareShare CEO Lindsay Boswell said: “With Tesco’s support, FareShare is working with charities across the country to help feed hundreds of thousands of people in need every week. The lessons include some practical ways to reuse food waste in cooking, for example by starting with a traditional sauce base and incorporating leftover ingredients to help bulk it out and create a unique flavour. Other ways to reuse food waste include using vegetable peelings to add flavour to vegetable stock, or grating the zest of fruit peels into dressings, sauces and desserts. With more interest in veganism every year, you can even make a vegan ‘cheese’ similar to mozzarella using the brine from canned chickpeas thickened with starch and blended nuts. Community kitchens face a particular challenge because they must often work with whatever is donated to them. That can mean cooking with large quantities of perishable ingredients that are very close to their use-by date, as well as canned and dried ingredients that can be stored for longer, but may be less versatile or economical. 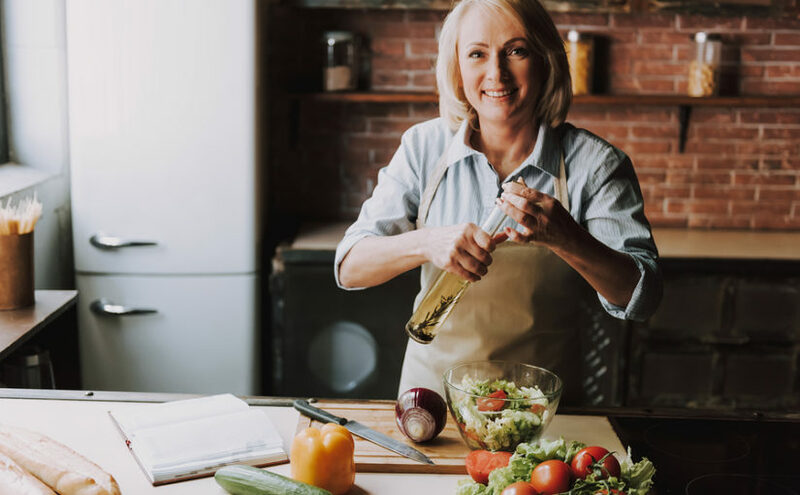 However, community chefs have the advantage of preparing most of their meals from scratch, rather than using more processed foods and ready meals – something we can all emulate in our own kitchens at home. Cooking from raw ingredients can be much more economical, plus you get every part of the ingredient, such as the peel, skin and bones to use in stocks and sauces, not only reducing food waste but also packing more flavour into the healthy, fresh and delicious meals you make.